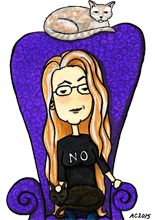 My Series of Uncanny Fears is actually a series now, yay! 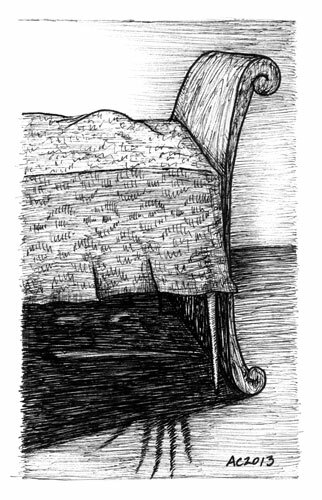 I found it extra challenging to draw the pattern on the duvet with the monster glaring at me from under the bed all the while. Not that there is a monster, mind you, I’m sure it’s just shadows, and reflections. Nothing to fear. Nothing at all. 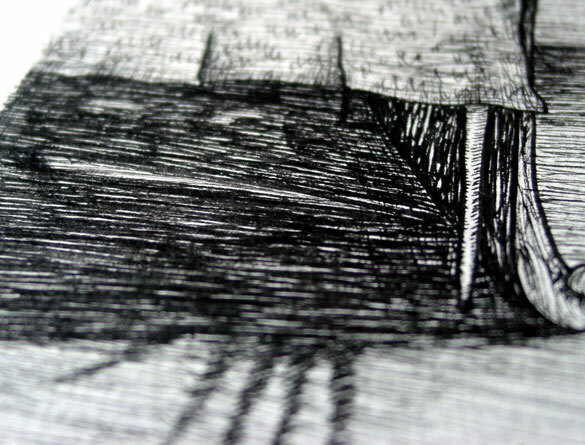 A Series of Uncanny Fears: Under the Bed, 5″x7″ pen & ink on paper. Above, you can get a closer look at that space under the bed and the inexplicable shadows that are totally not reaching toward you now. Not at all. 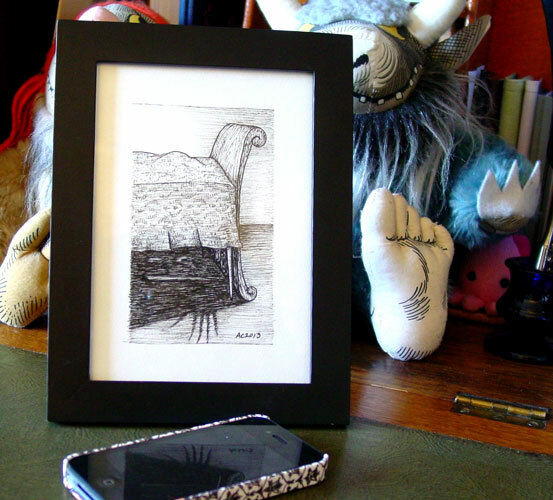 Below, it’s safely behind glass in a frame, just waiting to find the perfect owner.